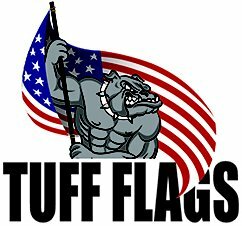 Tuff Flags feature a wide selection of patriotic memorabilia and flags of all types- American, military, historic, world and more. We sell premium quality flags that are 100% made in USA at fair prices, which makes it a convenient one stop shop for all flag lovers! Be it schools, military or government organizations, sports leagues, churches or patriotic families, we cater to a diverse audience and offer something special for everyone. We know you don't have a lot of time that is why we are here to help. You need to purchase quality products, and your order must be right the first time. We have decades of experience serving flag and custom purchasers and are here to help with everything from selecting the right products for your purpose to questions after your product is in hand. 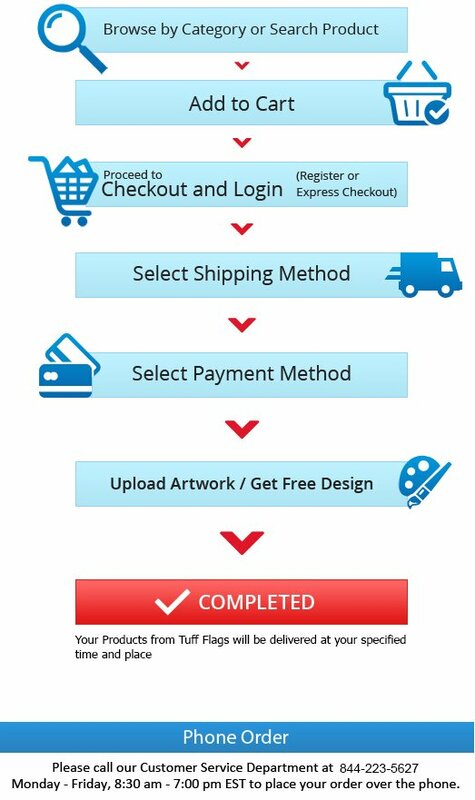 Contact us at our toll free number (888) 287-3524 between 9AM and 6PM EST or email us at customercare@tuffflags.com. We're here to help. Based in Central North Carolina, we are passionate about what we do and strive to provide premium quality flags that carry 6 month guarantee on construction of flag, which not many other companies can offer! We offer many stock flags but also create custom flags to meet our customer’s needs. Be it the garden flags to celebrate the change of season or the car or bike flags to add a pop of color to your automobiles, we have everything. Just tell us your needs and we can help you choose a perfect flag to complement the occasion and the celebration. We can help you put your message or mascot on the flag and offer the finest customization options. Need tips on flag poles or hardware items, flag etiquette, customization or more? Just get in touch with us and we can help you get started and make a well informed decision. Our team continues to work on new products keeping in mind the unique needs of our customers. If you have any queries, do not hesitate to contact one of the many professionals at Tuff Flags right away.